Nostalgia, originally uploaded by needlepointernc. Today is an appropriate day to use the NOSTALGIA theme. 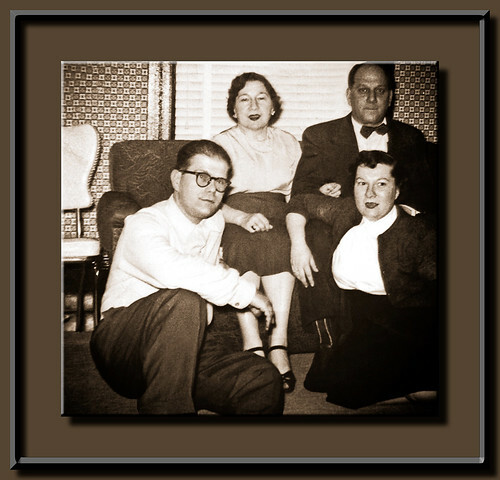 This is a picture of my grandparents Lee and Ben and my Dad and Mom. It was probably taken around 1951 when they met. They got married in 1952. Only my Mom is still around. Mom has dementia and was doing well until Sunday. Mom fell on Sunday in her room and really banged her knee and elbow. She takes coumadin so that caused a lot of bleeding into the bruise on her right thigh. Luckily she didn’t break anything. But she was a few quarts low on blood by Tuesday. She wasn’t being a very good patient (she is a nurse) and ripped out her IVs. So, they had to get a baby sitter for her! By today she was finally herself. But it was a fight to get the insurance to agree to pay for short-term rehab and to get the short-term rehab to take her cause she was “confused”. Well, she was confused 🙂 but was much better by yesterday. They just wouldn’t listen to me. Finally they ditched the baby sitter and the rehab screener came back today and presto chango they had a bed for her. I used a Lightroom preset called Sepia Sugar and Spice. Then I used one of my Shutterfreaks frames. I didn’t crop the white kitchen chair out because we had those chairs forever in our house that we moved to in 1959. Custer State Park Lake, originally uploaded by needlepointernc. We went to South Dakota when we were living in Omaha, Nebraska. I think this picture was taken in 1999 on Labor Day Weekend. 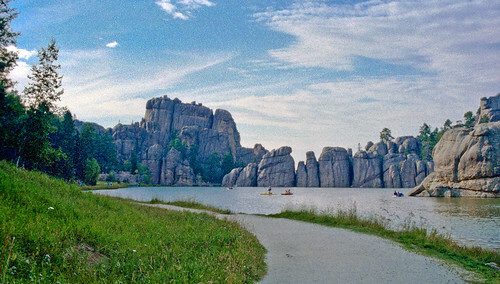 This lake is in Custer State Park. The park is beautiful and I wish we had stayed in the park. You can drive through the park and see buffalo and prairie dogs, and the Needles. The Needles are these spikey rock mountains that are part of the Black Hills. They are very cool. 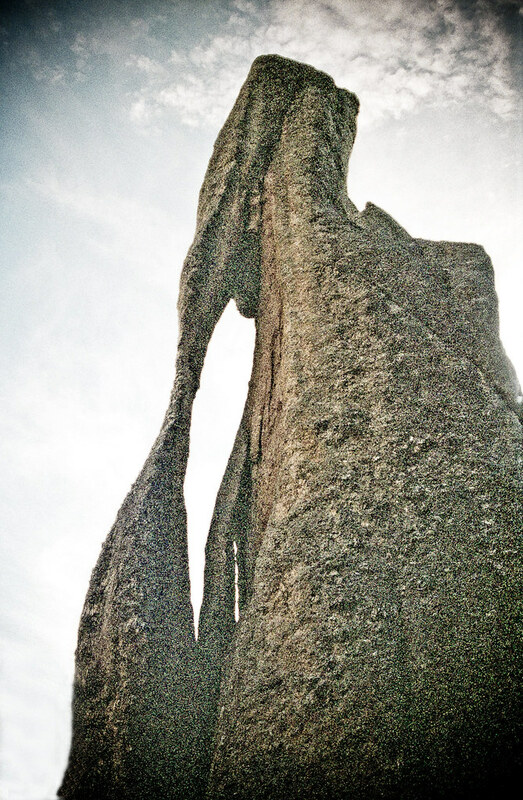 Used a Lightroom preset (EFF Dragan) to make the needle darker and more textured. 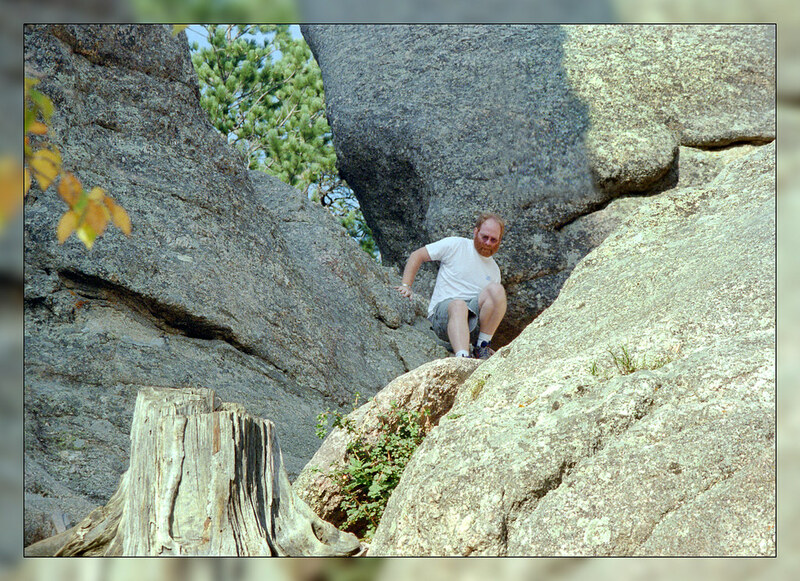 Kevin climbing on the Needles in Custer State Park.